No eggs. No flour. No butter. No sugar (on its own). How can this be? 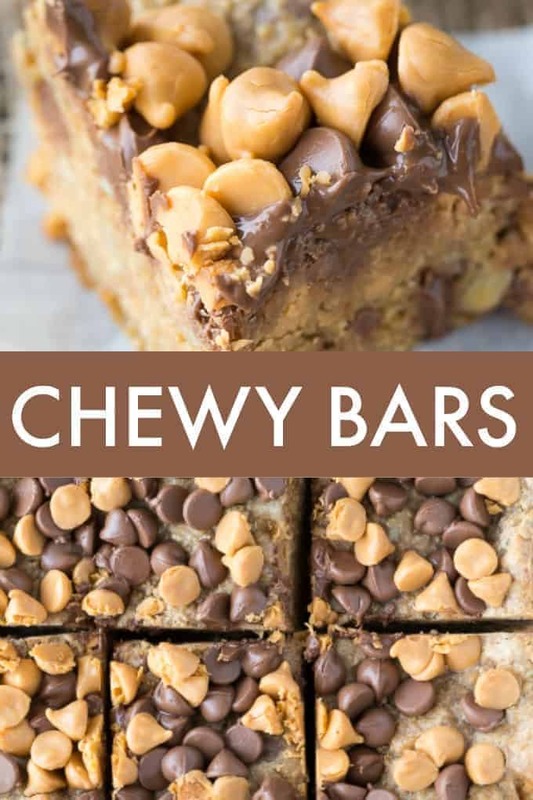 This Chewy Bars recipe has none of these ingredients and is one of the easiest recipes for bars I’ve ever made. So what’s the secret? The secret is sweetened condensed milk. That sweet, sticky, creamy and smooth ingredient is what binds this entire recipe together and also saves you on time. I love sweetened condensed milk and would eat it right from the can if I could. I use it often in dessert recipes and always keep my pantry stocked up with several cans. Buy it when it’s on sale! Mix graham cracker crumbs and your other ingredients with the sweetened condensed milk and this luscious dessert will be the result. Think easy holiday baking, you guys! Start by greasing a 9-inch baking pan with cooking spray or butter. In a large bowl, stir together graham cracker crumbs, sweetened condensed milk, sunflower seeds, 1/2 cup milk chocolate chips and 1/2 cup butterscotch chocolate chips. Spread the mixture into the baking pan. Top with 1/4 cup of milk chocolate chips and 1/4 cup of butterscotch chocolate chips. Bake for 25 minutes at 325F. Let them cool before cutting into bars. It’s chewy and sweet and wonderful to share with your family and friends. You can even freeze them for later if you like. I like to make a few batches and then deliver them to my friends and family. It’s a thoughtful gesture that people always appreciate! Don’t like sunflower seeds or the chips I chose? Replace them with another ingredient and don’t stress. I used salted sunflower seeds because that is what I had. Unsalted would be fine to use as well. These bars did not last long in my home. My cousin came over and took a bunch home to her family. She has two teenage boys with ravenous appetites. I swear those kids will eat anything. Meanwhile, I have two extremely picky kids! I was glad to see everyone enjoyed this recipe. 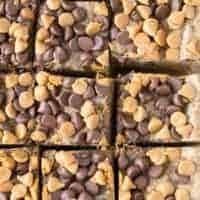 Mud Hen Bars: A vintage dessert from Grandma’s cookbook! It has a cookie bar base, topped with a rich layer of walnuts, chocolate and melted marshmallows followed by a sweet brown sugar meringue topping. Sour Cream Raisin Bars: This easy dessert recipe is a cross between a date square and a butter tart. It has a creamy raisin filling that everyone loves! 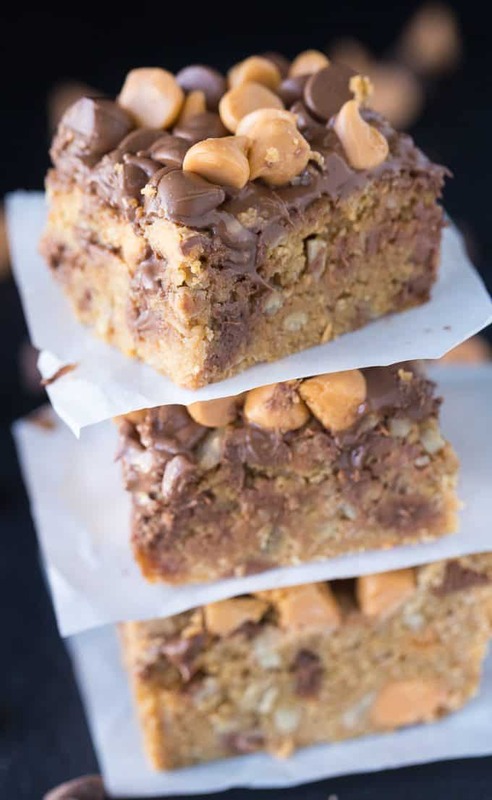 Fudge Nut Bars: Rich and sweet with multiple dimensions of flavour. Creamy fudge is layered between an oat base and topping. Penuche Squares: You’ll love the home cooked taste that will remind you of your grandmother cooking in the kitchen! Pecan Cake Bars: Pecan Cake Bars are chewy, moist and incredibly delicious. The addition of pecans adds a lovely crunch to each bite. Try this recipe for holiday baking! 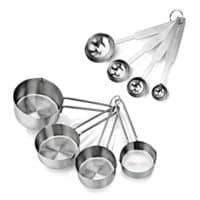 What are you baking these days? No eggs. No butter. No flour. This may be one of the easiest bar recipes you ever make. Preheat oven to 350F. 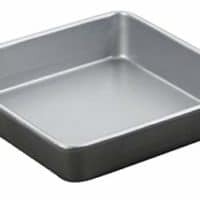 Grease a 9 inch baking pan with cooking spray. 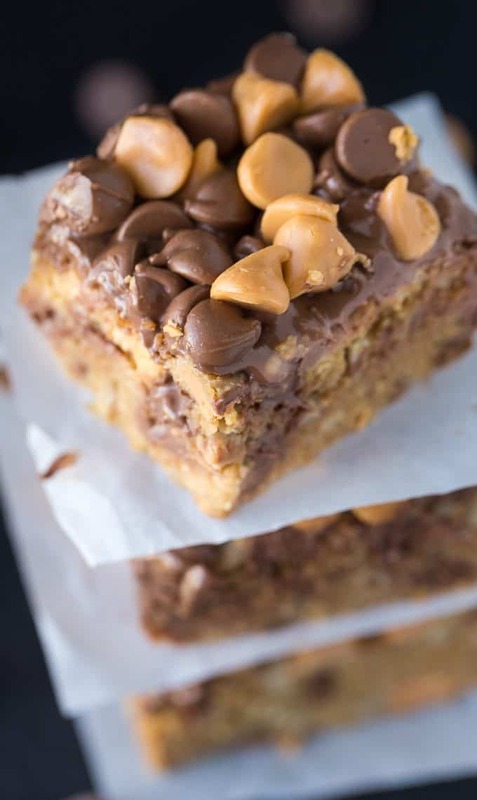 In a large bowl, mix together graham cracker crumbs, sweetened condensed milk, sunflower seeds, 1/2 cup milk chocolate chips and 1/2 cup butterscotch chips. Spread into prepared pan. Top with 1/4 cup each of milk chocolate chips and butterscotch chips. Bake for 25 minutes. Let cool before cutting into bars. Oh, YUM! I love these Chewy bars. They look so delicious and a nice bar to bring to a Holiday party. I will have to make these. They look so delicious! OMG,my mouth is watering,i can’t wait to try these. These look great. 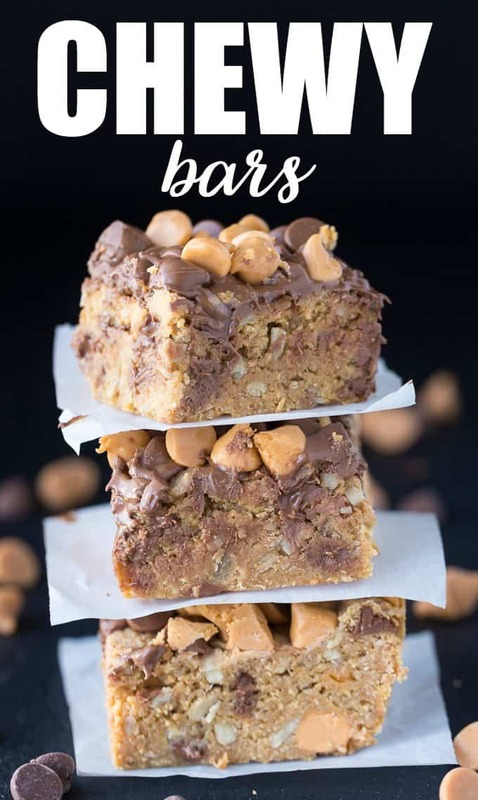 I love bars that are easy to whip up and bake. These look delicious! I love squares!! Wow, these sound good and easy to make! Will have to make up a batch! Will these turn out as good if I omit the sunflower seeds & only use the 2 flavors of chips instead? Yes, it will still work. The main thing is that you keep the sweetened condensed milk and graham cracker crumbs. You can substitute with whatever flavours of chips you want and even add nuts and raisins. Do you think this would work with sweetened condensed coconut milk as well? Either way, a very simple recipe that is easy to customize to your tastes. Thanks for sharing. I’m not sure, but I think it would work too? I’ve never used sweetened condensed coconut milk, but it sounds tasty! They look yummy – another great recipe to try for Christmas. Great recipe! I’m loving all the ingredients! Stopping by from the Create and Crave party. Oooh! These sound super yummmy too! Your sight is dangerous.. dangerously good. Pinned. I can’t wait to try these they sure look tasty ! These look like something so delicious that I wouldn’t be able to stop eating them. But that’s okay, it’s the Christmas season, right? Pinned and recipe printed! A whole lot of delicious things start with sweetened condensed milk. Hooray for these not having nuts, as my son is allergic. Thanks for the delicious recipe and great photos. Your Chewy Bars look fabulous, we will love them! We really appreciate you sharing with us at Full Plate Thursday and hope you are having a great day! Yum, can’t wait to try these!! Can you double the receipt for a 9 x13 pan or wouldn’t that work? 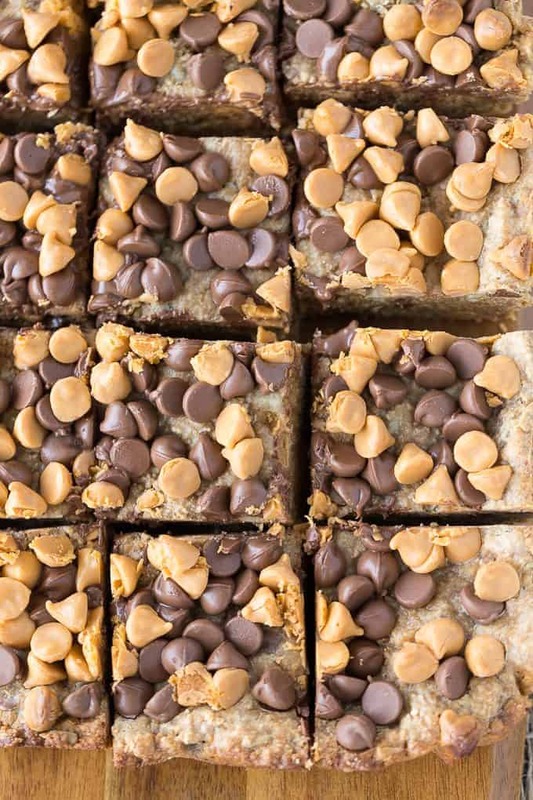 These Chewy bars look and, no doubt, taste scrumptious. I would make these, very easy to make, on only on special occasions as they are calories galore-yet delicious and tasty. These look awesome. Would they survive being mailed to my daughter in college? Wow! These look so yummy! I love a quick and easy dessert recipe, especially one with chocolate. And this one seems like it would take substitutions very easily. I look forward to trying these! Made these but used flax seed for fibre, delicious! Help! When I was on this site yesterday I saw a cauliflower cheese dish made with a deep dish crust in a spring form pan and it was topped with cherry tomatoes. Can any one tell me the name of it so I can get the recipe. I tried all of those. This should not be advertised as “no flour”. Graham crackers are made with at least one and sometimes two kinds of flour. I believe she meant that you don’t have to have It as a separate ingredient. 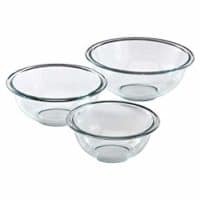 Instead of spraying the dish, can you use parchment paper to lift them out so it would make cutting easier? Do you use salted or unsalted sunflower seeds? I think I used salted since that is what I typically buy. Do you sprinkle chips on before and after baking? The recipe says to sprinkle chips before baking, the pic looks like it was done after. No, they were done before, but were softened. I didn’t spread them with a knife to mix them together because I wanted them intact for the photos.